Here is a truly rewarding project for lots of reasons, I like the enormous amount of money you can save the most! 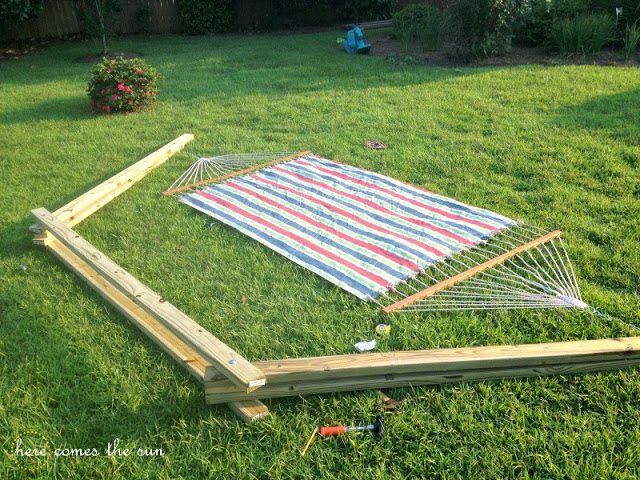 DIY hammocks are easier to make than you think. The reward at the end is to spend many happy hours just chilling in the garden enjoying the rest of the summer. There are several variations so there is sure to be a hammock below that will appeal. 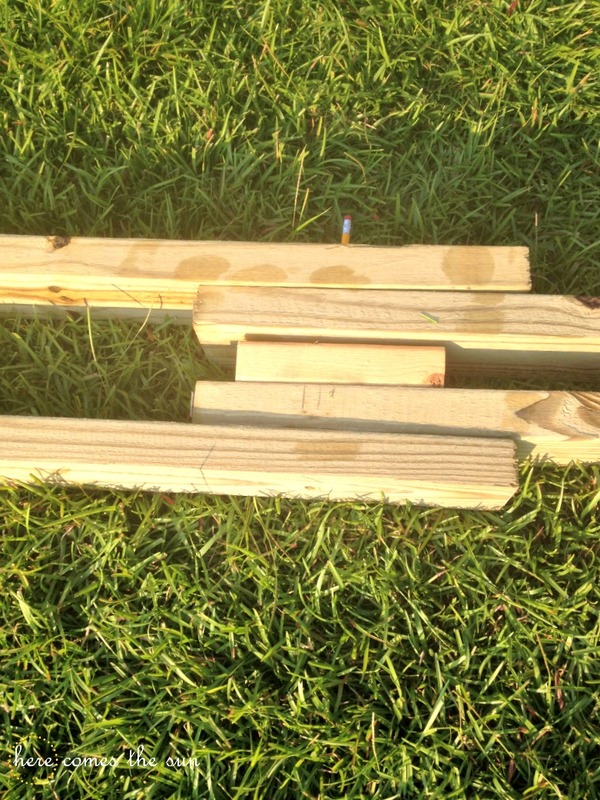 Lay two 8′ boards parallel to each other. 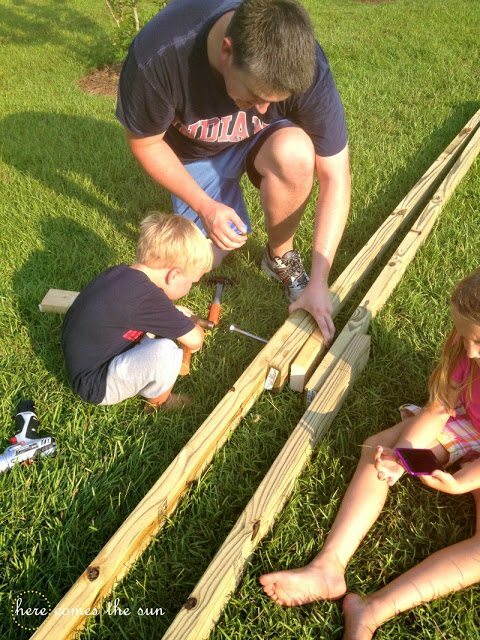 With your paddle bit, drill a hole 6″ inches from each end. On two other 8′ boards, drill holes 4″ from one end and line them up like the picture, below. 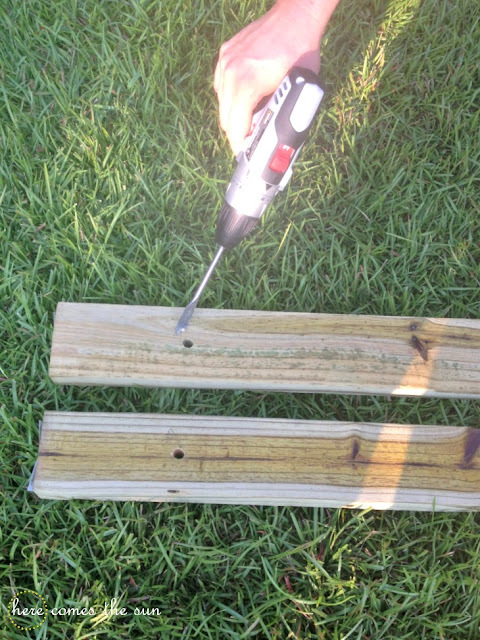 Use a small scrap piece of wood for a spacer (drill hole through it). Bolt through all 5 pieces of wood with a 12″ bolt and secure with a nut and washer. Don’t overtighten the bolts at this point because you need to be able to swivel the boards. When possible, get little helpers. Little boys are eager to help. My girl, however, was more interested in the latest app on the phone. Here is little man helping pound the bolt through. This is how it should look after both sides are done. 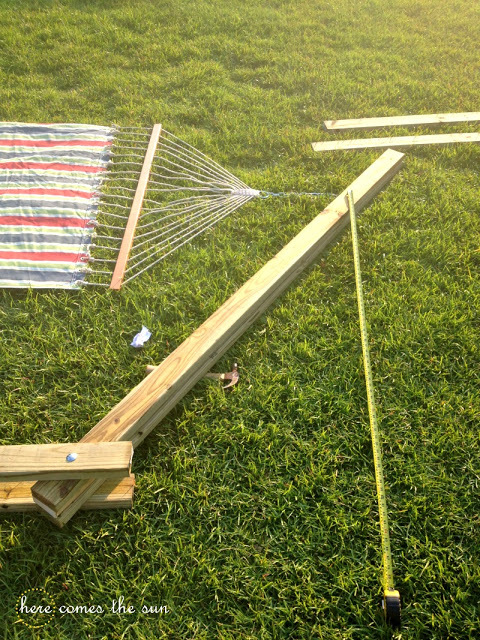 Lay out your hammock to determine what the angle of the boards need to be to fit your hammock. 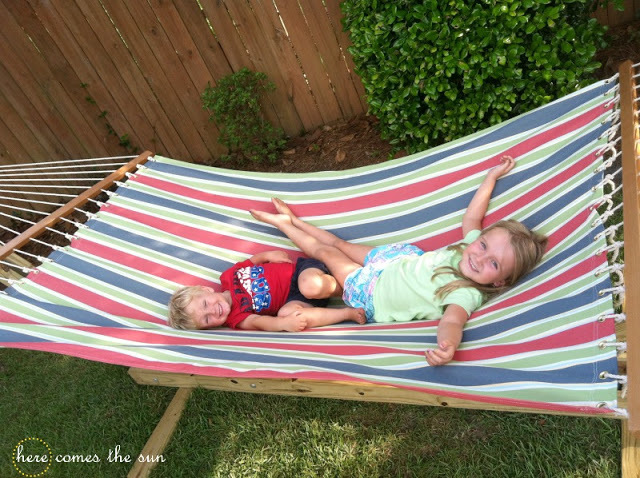 You want the hammock to attach approximately 4′-5′ from the ground. I hope you see the potential of seeing through with this diy project? What better way is there to relax? On the next page I have featured an easier project.